Watch a short demo to see how using My cases in Xero Central provides a better, more secure way to get help from WorkflowMax and to view and manage your support cases. From 26 Jan 2019 (25 Jan in the US), the new secure and more beautiful way to contact our WorkflowMax and wider Xero support team is through our Xero Central platform. You can get there via the question mark icon at the top right hand corner of the screen when logged into WorkflowMax, or by going direct to support.xero.com. This link can also be used if you need help with other Xero Products such as: Xero business edition, Xero Expenses, Xero Payroll, Xero Projects and Xero HQ. 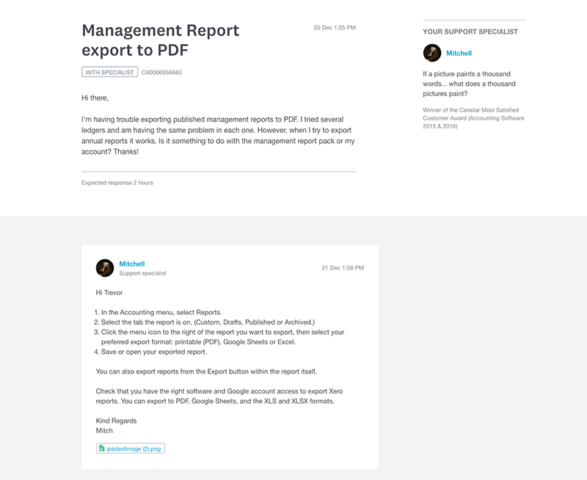 If you’re used to emailing us when you need help, you’ll find that’s no longer the way to get in touch: if you do send us an email, you’ll receive a reply asking you to enter your WorkflowMax login details and raise a case at support.xero.com. In My cases you’ll be able to look up your cases to keep track of your questions and answers, see who’s looking after your case and where it’s at; and you’ll also be able to look back at your conversation with the support team. 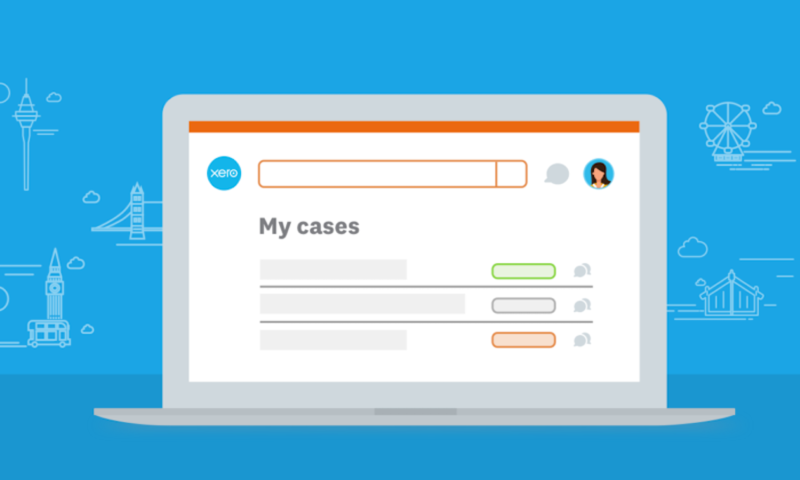 When you raise a case, you’ll need to be logged in with your Xero credentials that you use to log into WorkflowMax so that your conversations and any sensitive information you share with us are kept private and secure, just as your WorkflowMax data is. If there’s an outage or you have problems logging in, you’ll still be able to initiate contact with us via prompts from the login screen or the Xero status page. There’s an option to select which business your question relates to, however at the moment this list will only show any businesses you have on Xero, so just select None if it’s a question about WorkflowMax. Any cases that predate the 26 January change won’t appear in My cases. You’ll be able to continue using email to manage your open cases until they’re resolved. You’ll be able to go to My cases in Xero Central to see a list of your open and closed cases. Provided you’re logged in, you’ll see the status of each one as it moves from being in the support queue to being with a support specialist and under investigation. Other statuses include ‘action required’ where we’ve asked for more information from you, and ‘call scheduled’ if a specialist has arranged a time to call you. Then, when your question has a reply, it’s ‘answered’. When a support specialist replies to your message, you’ll receive an email with a link to log in so you can read the message in My cases, and respond if needed. 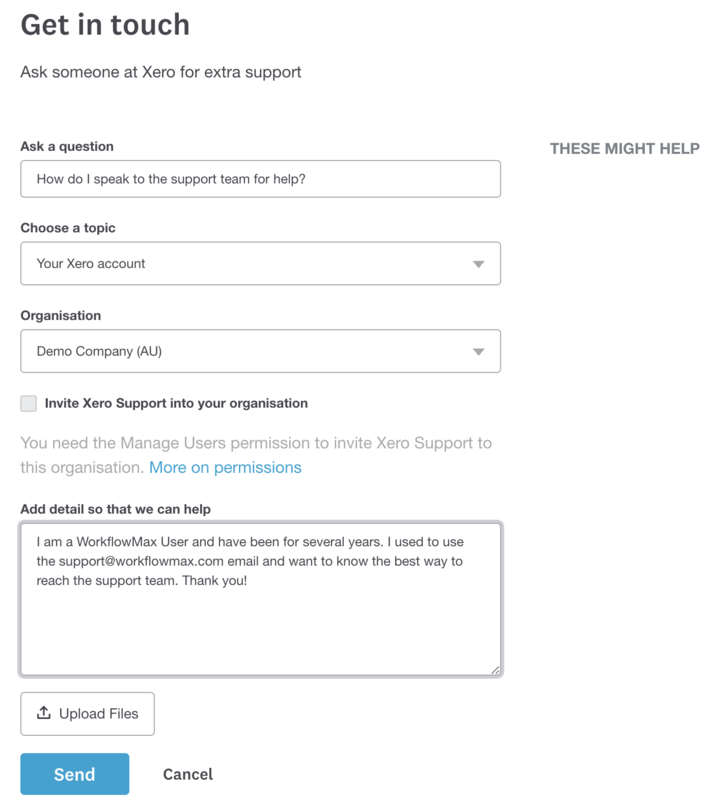 You’ll receive the notification in the email account you used to log in to Xero and raise the case. When you click on a case to see more detail, it displays the messages between you and WorkflowMax support, the status of your case, when you can expect a response, and which support specialist is looking after it – along with their photo and a few details about them so you know who you’re talking to. At the moment, My cases in Xero Central is a one-to-one conversation between you and the support team. But if you need to share the details, you could take a screenshot or copy and paste the answer and email it to them.